Home South America	Where is Machu Picchu? 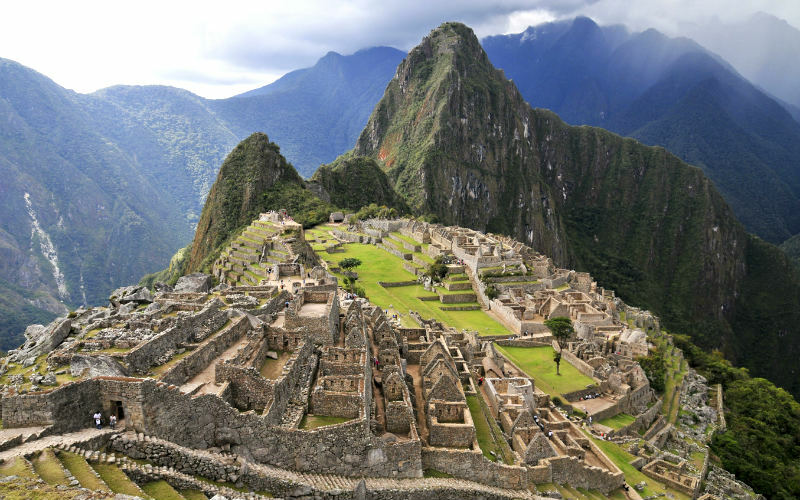 Interested in visiting Machu Picchu, one of Peru’s most famous attractions? 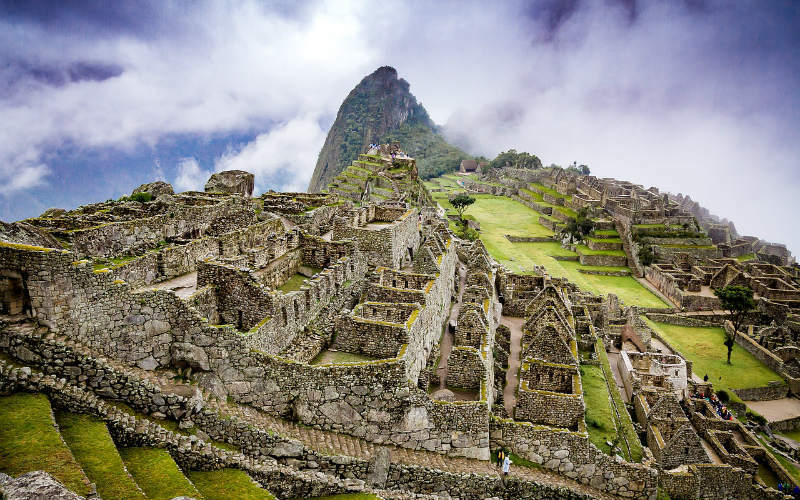 Before you book your flights and an unforgettable tour of the site, be sure to check our guide to Machu Picchu and the Inca Trail! Considered to be one of the world’s best archaeological sites, Machu Picchu is an Inca citadel that was constructed in the mid 15th century, in the final decades of the Inca Empire. Abandoned close to 100 years after its construction, during the Spanish Conquest, the site remained relatively unknown to the outside world until 1911, when American explorer Hiram Bingham III set out on an expedition in the area. 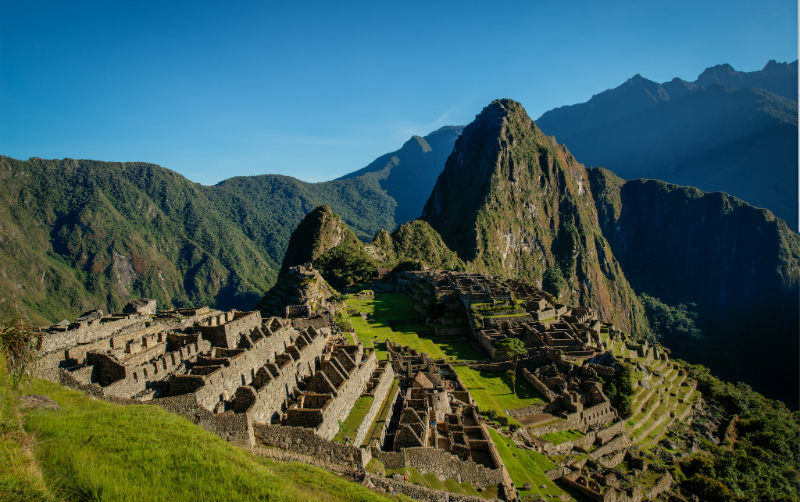 Since its rediscovery just over a hundred years ago, Machu Picchu has been World Heritage listed and has become a popular destination for history buffs and adventure lovers alike. Beautifully preserved despite its age, Machu Picchu’s use or significance to the Inca is not known, nor is the reason for its abandonment. Although there is no way of verifying its use, researchers have theorised that it may have had some religious significance and acted as the home to one of the empire’s rulers. Comprised of a number of buildings, including temples, dwellings and some storehouses, the site was left untouched by the Spanish conquistadors after the fall of the Inca Empire, allowing the granite structures to remain in rather good condition despite their age. Machu Picchu is located in southern Peru, to the northwest of the city of Cusco. Elevated over 2,400 metres above sea level in the Andes mountain range, the site overlooks the Sacred Valley, an area that was home to successful agricultural ventures (evident through the agricultural terraces carved into the landscape), royal estates and country homes. Although the historic settlements scattered throughout the region are no longer inhabited, ruins dating to the heyday of the Inca Empire are scattered throughout the area, including the Pisac, Ollantaytambo and Moray ruins, offering plenty to see and discover. Arguably the most famous way to reach Machu Picchu, the Inca Trail is also the most physically demanding, while the bus and train rides are both more relaxed ways to reach the famous Inca site. Travelling by train, there is also the option to choose your travel class, allowing you to venture to Machu Picchu in true style if you so desire. Machu Picchu is popular all year round, with people travelling from all corners of the globe to soak up the spectacular mountain views and encounter the rich history of the site, meaning that whichever time of the year you choose to visit, you are likely to encounter crowds. The site’s high season is typically thought to fall between late May and early September, coinciding with the region’s dry season, while the rainy season spans from October to April. Although the calendar year is divided into a dry season and a rainy season, the weather in the area surrounding Machu Picchu can be quite unpredictable, so it’s best not to hedge your bets on having perfect weather when travelling in the dry season. While Machu Picchu may be popular all year round, visiting the site early in the morning or late in the afternoon can allow you to see and experience more without feeling crowded by the day’s tour groups. If you’re interested in photographing the site, heading to the site earlier or later in the day can also allow you to make the most of more favourable lighting. Considered to be the most famous trek in South America, the Inca Trail is a pathway that weaves its way along part of the Inca road system, from the Sacred Valley to Machu Picchu. Covering around 45 km, the path meanders through spectacular mountains and forests, and past an assortment of wonderful Inca ruins. Centuries after it was constructed, original portions of the trail still remain, allowing adventurous travellers to quite literally follow in the footsteps of mighty Inca Empire. How long does it take to complete the Inca Trail? Although the completion time can vary depending on the weather and the speed at which you travel, it generally takes travellers around four days and three nights to reach Machu Picchu from the Sacred Valley. Covering a total of around 45 km from start to finish, this is quite a reasonable time frame for the amount of ground covered along the Inca Trail. While a reasonable level of fitness is recommended for anyone attempting to complete the trail, shorter alternatives are also available, as are longer, more challenging routes. Llama at Machu Picchu, Peru. What should you know before you visit? Both the Inca Trail and Machu Picchu take visitors high into the Andes, meaning that the altitude is higher and the amount of oxygen in the air is lower. If you are visiting the region from somewhere much closer to sea level, you’ll need to give your body time to acclimatise to the lower levels of oxygen before getting active. If you’re heading to Cusco before starting the Inca Trail or visiting Machu Picchu, take a few days to rest and your journey will be a little easier for your body to deal with. To help keep Machu Picchu and the Inca Trail in good condition, the number of daily visitors to both are restricted, with just 500 permits available daily for the trail. If you are planning to take on the trail or visit Machu Picchu, it’s best to plan ahead of time to avoid missing out. Travelling with a tour company, such as Webjet Exclusives, helps to take the stress out of acquiring these permits as all the hard work is done for you. 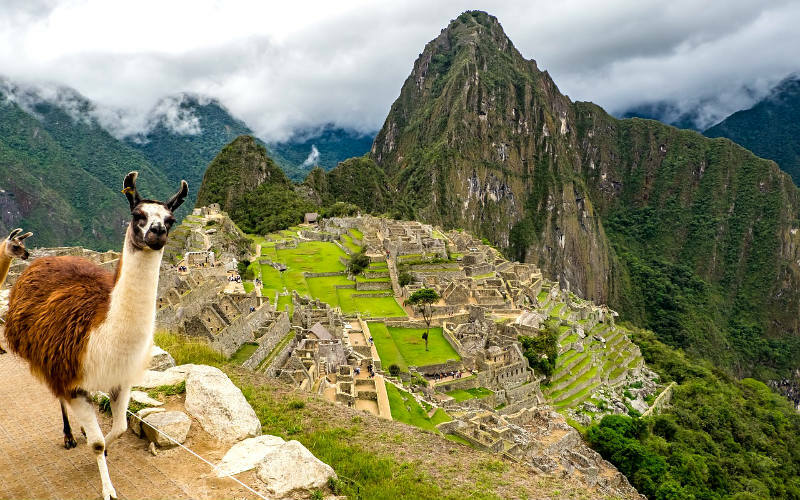 With people from across the globe travelling to Peru to discover the beauty of Machu Picchu, daily passes to the site can run out quickly, especially during the peak tourist season. To avoid disappointment, be sure to book your visit ahead of time. To help ensure that you make your way along the trail safely and on time, it is required that you travel along the Inca Trail as part of an organised group. There are plenty of operators to choose from, so you definitely won’t be stuck for choice, and it also happens to be a great way to learn more about the trail, its history and the Inca Empire from your travel guides. Travelling with a tour group, you may also receive help from porters to help transport your belongings and camp equipment. Although the trail is open at every other time of the year, each February it closes for conservation and maintenance works to be carried out. With thousands of hikers making their way along the trail each year, it’s an important step to ensure that its integrity is preserved for generations to come. Machu Picchu, Peru. Image Credit: Martin Lang / CC by 2.0. 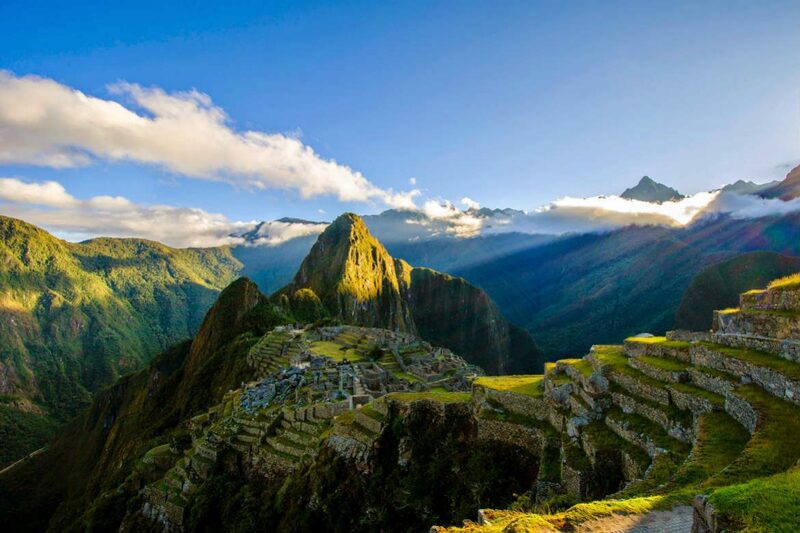 Ready to encounter the beauty and history of Machu Picchu? Secure your place on a guided tour of the world-famous site with Webjet Exclusives today! Feature Image Credit: Perou Magique / Public Domain Mark 1.0.